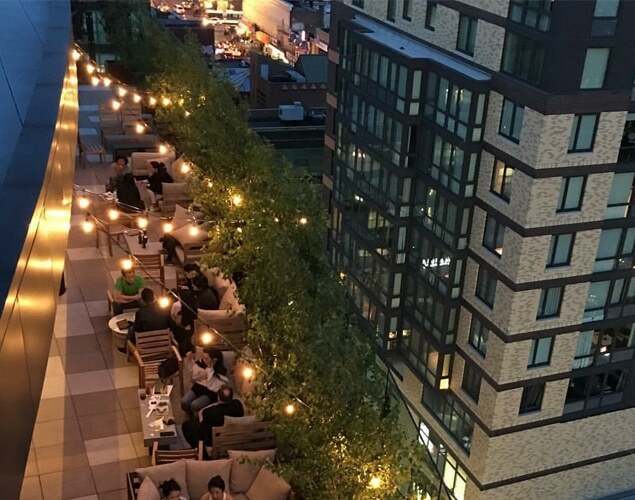 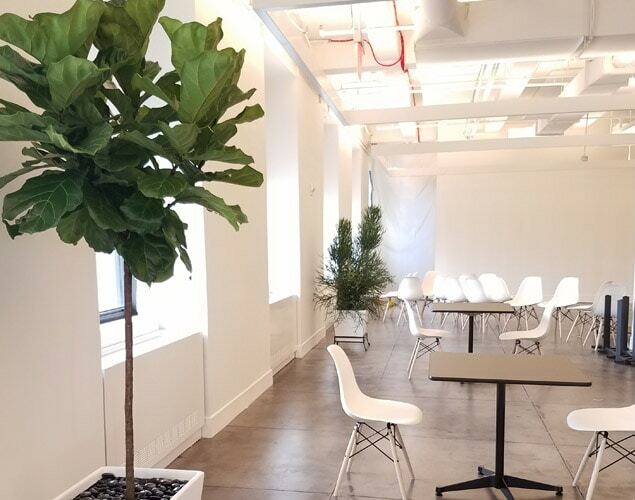 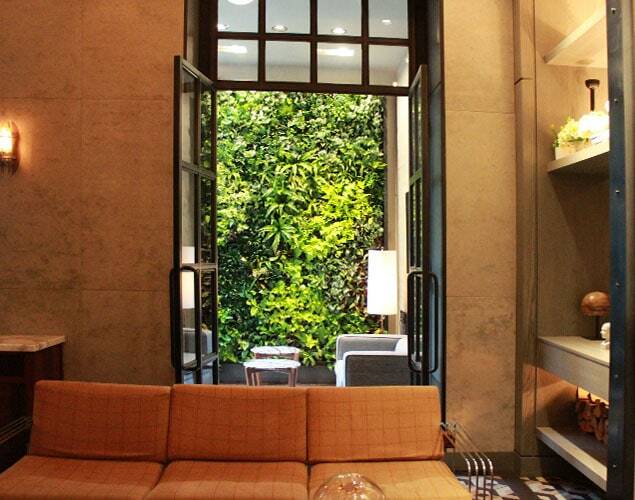 Green Wall - Blondie's Treehouse, Inc.
A best-in-class commercial building in the heart of New York’s Flatiron District, has attracted a new tenant. 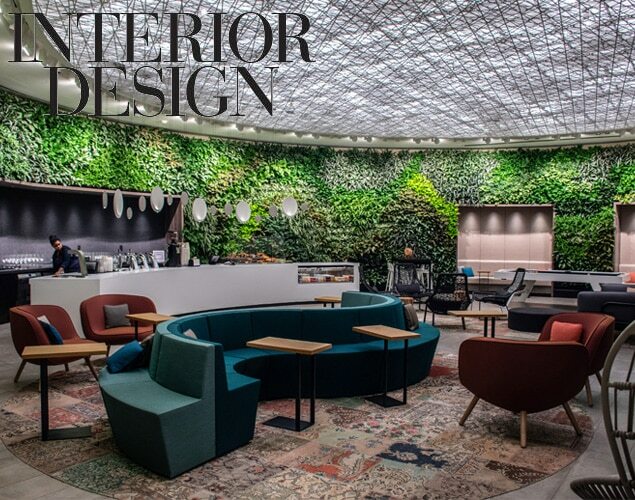 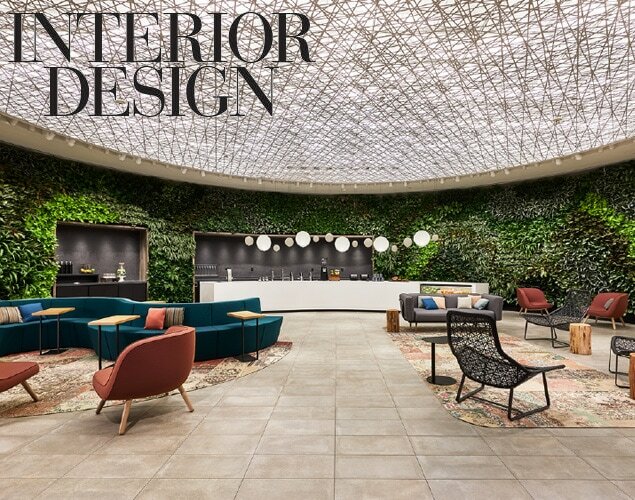 The brand new entrance and renovated lobby drew a well-known firm who fit out their new space to the nines, show-casing a clean and ultra-modern feel. 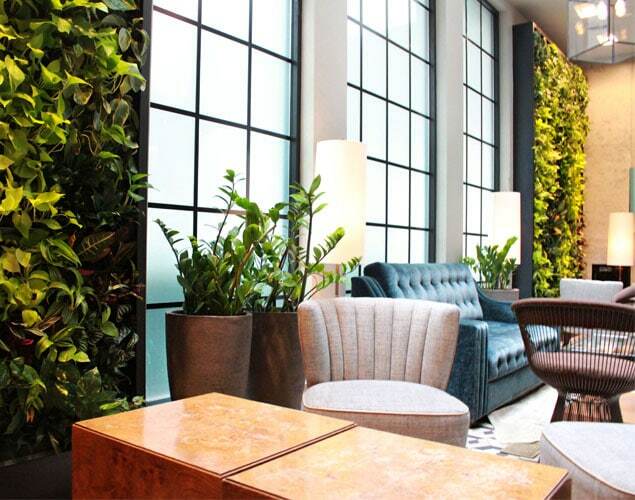 The interior plants and containers play a key role in the design, delivering a unique, creative and purposeful feel to the workspace. 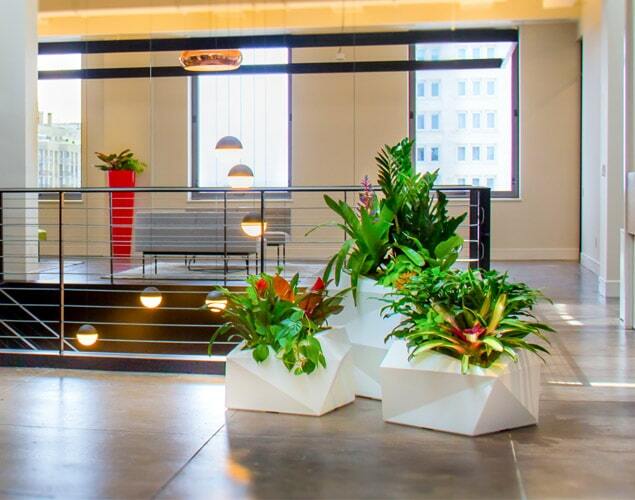 Bright red containers with simple, sculptural plants create a bold, eye-catching silhouette. 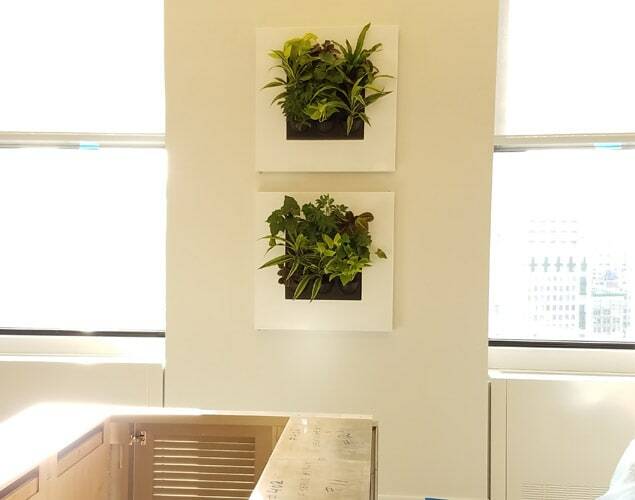 Prism containers, clustered together and planted with a mixed foliage palette create a geometric and organic display. 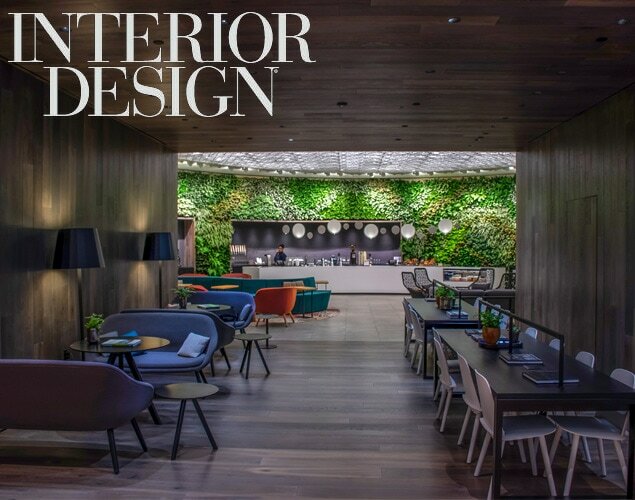 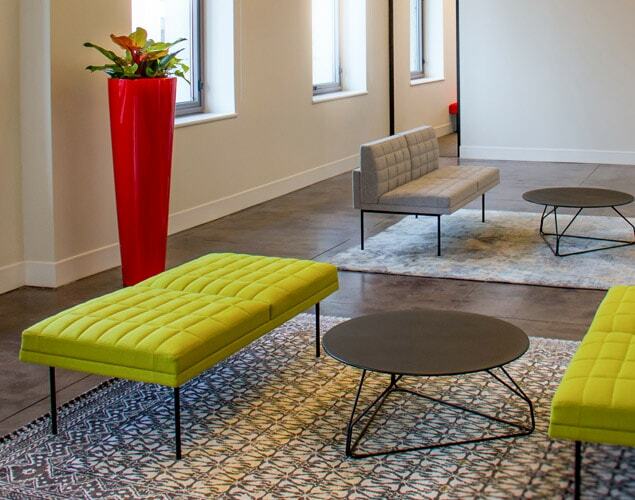 The ‘less is more’ approach, with fewer planters deliberately placed, meld seamlessly into the space, visual elements as crucial as lighting, furniture and artwork. 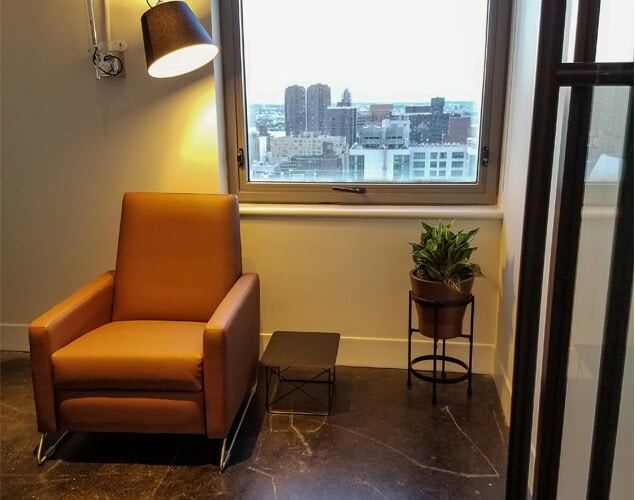 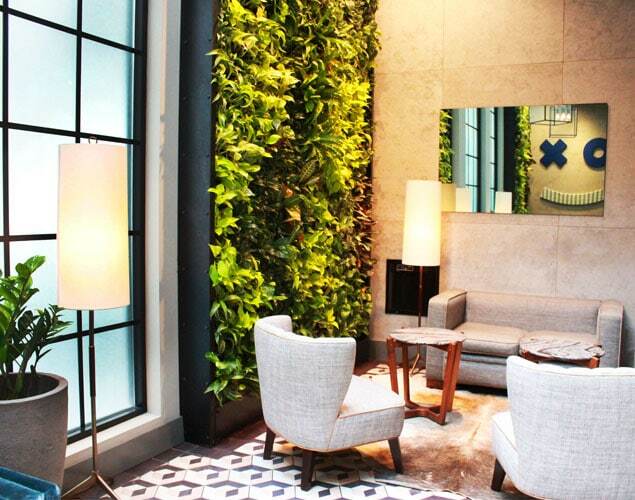 We just wrapped up the install of these drop-dead gorgeous living walls at the stylish SIXTY Soho located at 60 Thompson in NYC. 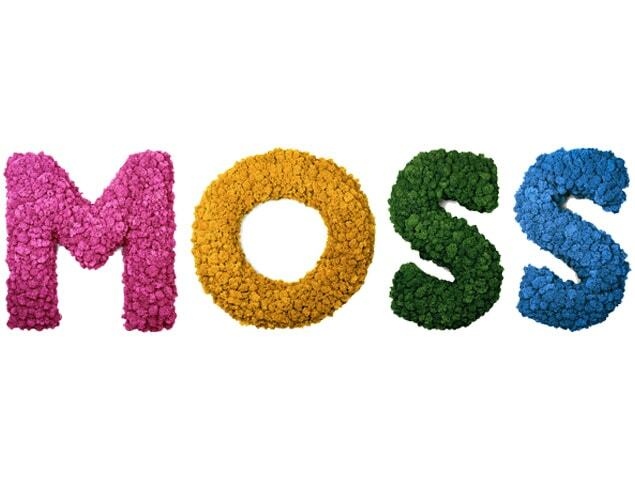 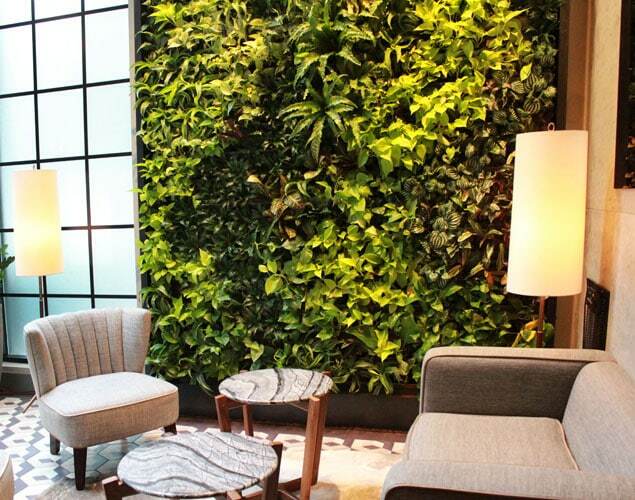 Brimming with lush, live tropical plants, these green walls utilize a sleek GSky Versa irrigated system to blend seamlessly with the room’s chic interiors. 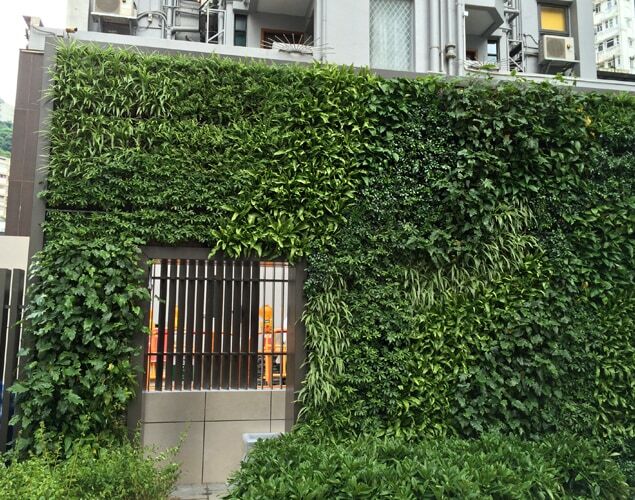 The low profile allows the plants to steal the scene, and weekly maintenance ensures that this wall will thrive and continue to impress guests for years to come. 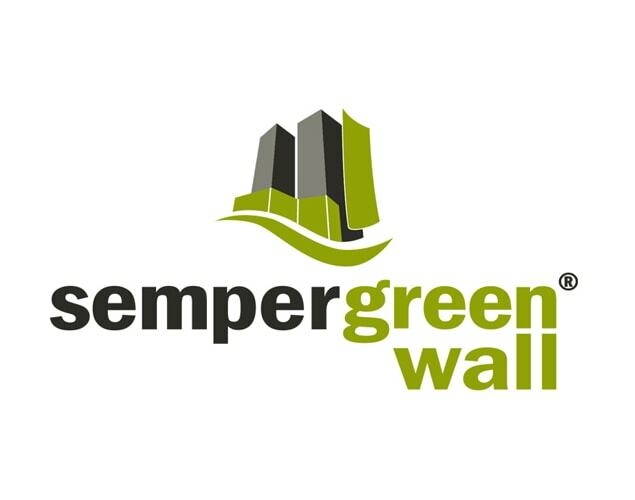 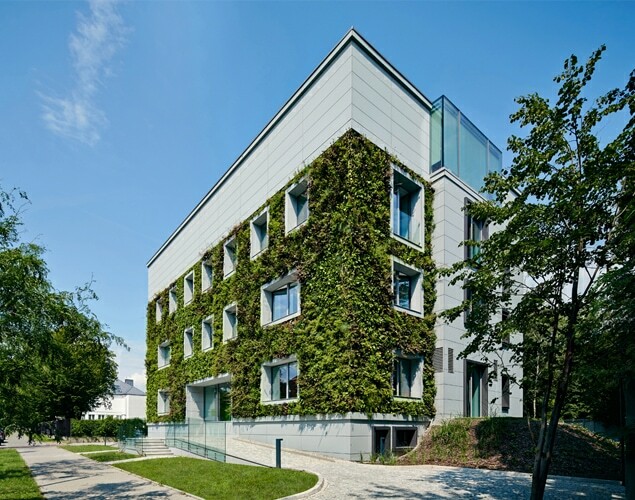 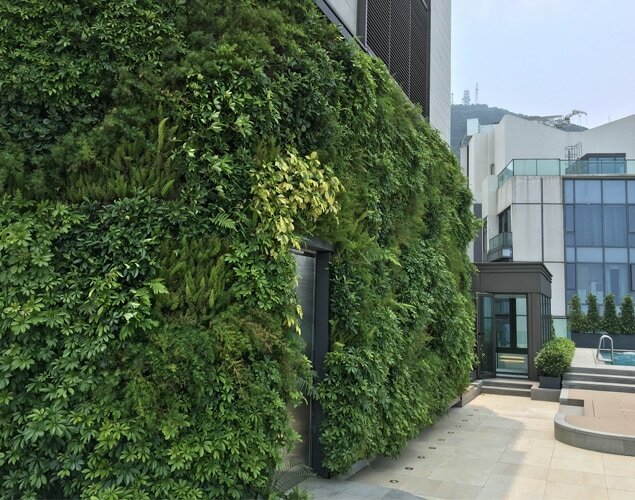 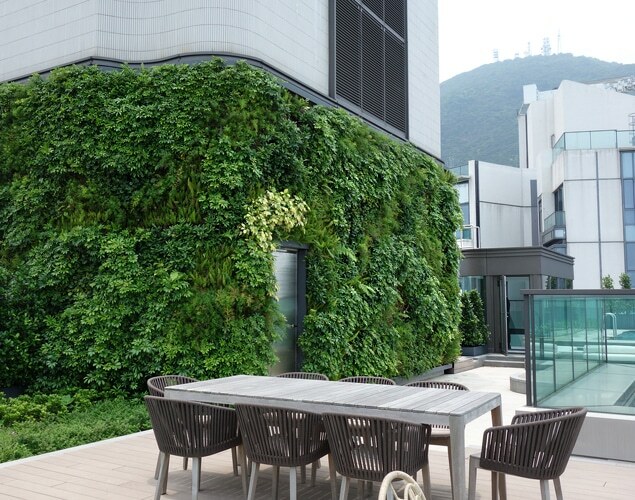 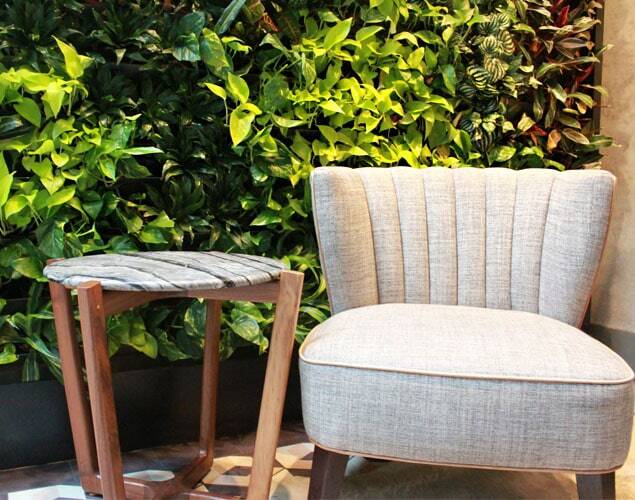 Living walls can be tricky- With ten different proven systems for virtually any interior or exterior application, Blondie’s can help select, install and maintain a green wall system that will fit perfectly with your requirements. 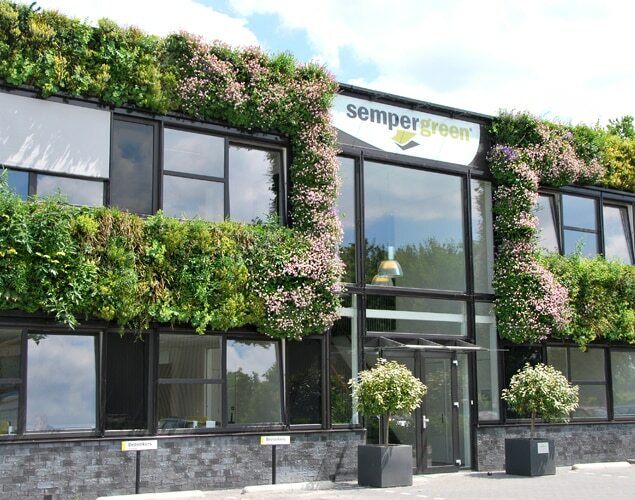 Call to talk with our team today. 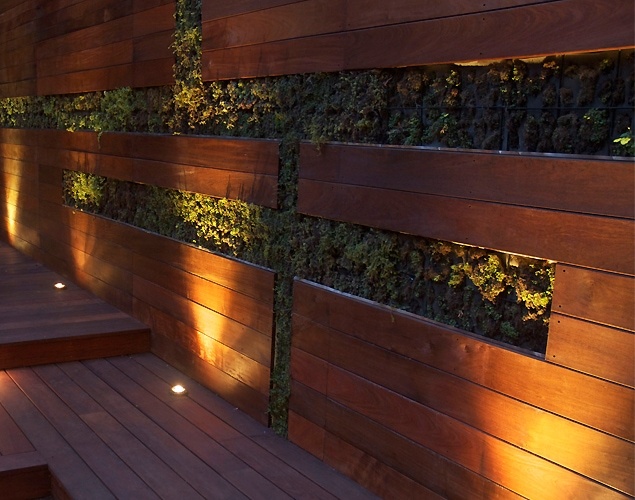 All lighting design projects begin with a dark palette. 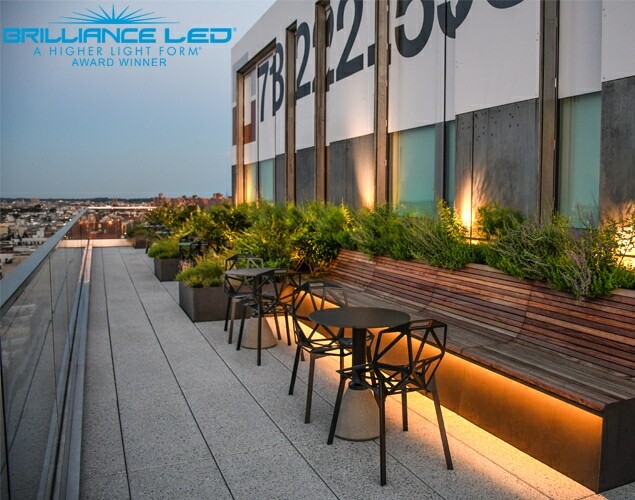 We start by integrating safety lighting for basic elements, illuminating pathways, stairwells and entrances … but we don’t stop there. 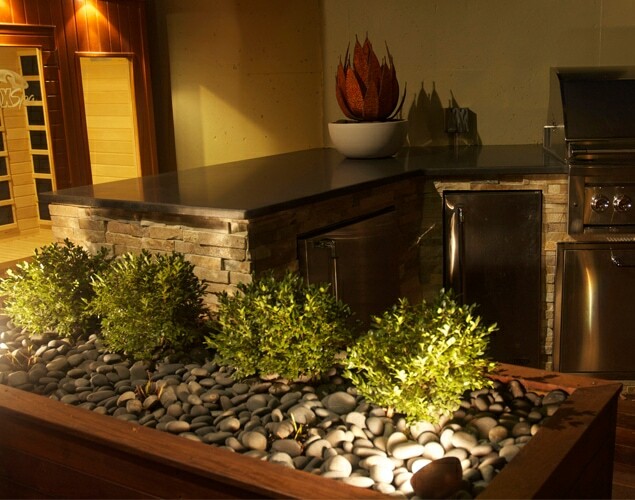 Like magicians, we begin to pull out design features from the shadows. 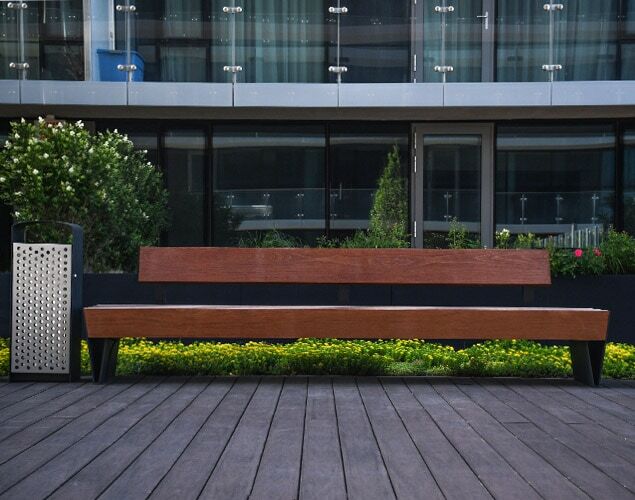 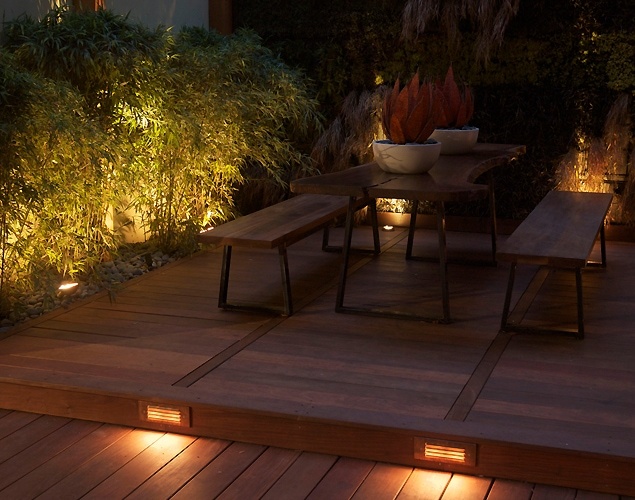 Highlighting planters, pergolas and architectural structures, showcasing feature elements and objects of beauty, and creating new shapes and patterns through the interplay of light and dark. 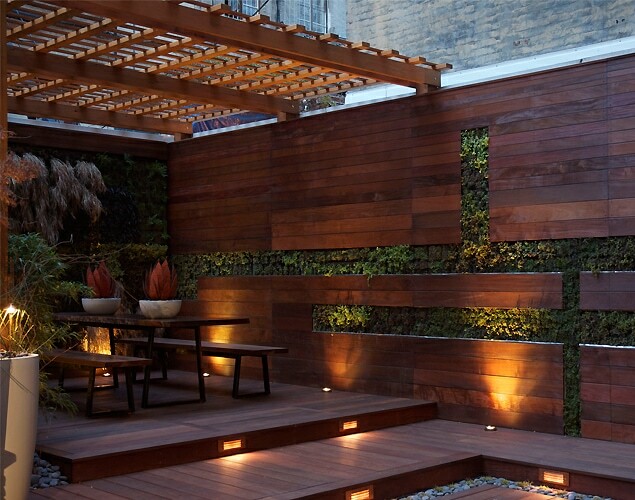 Uplighting, silhouetting and accenting are just a few techniques we use to recreate the outdoors as a nighttime environment. 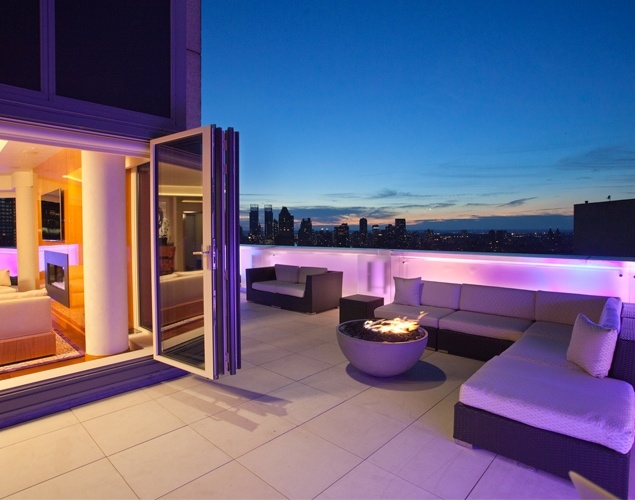 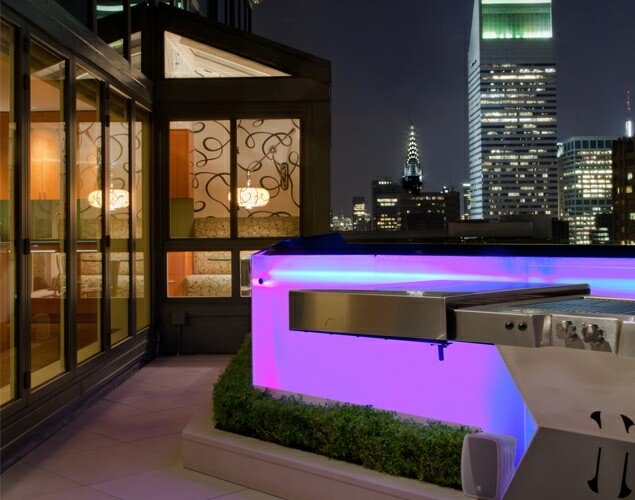 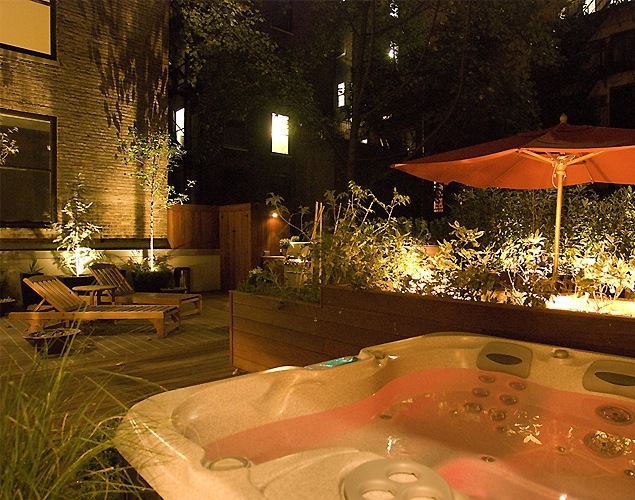 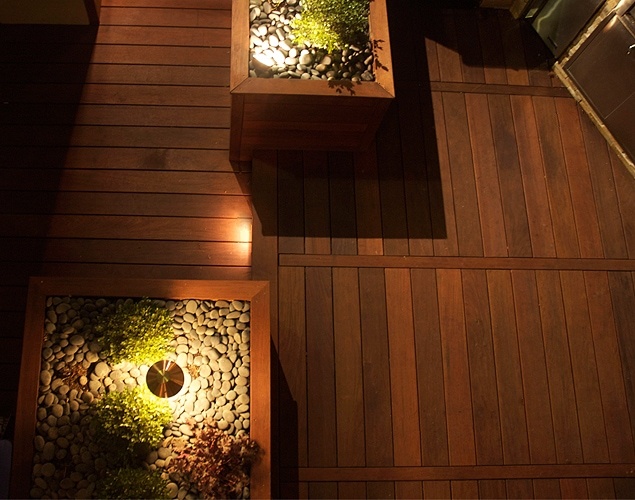 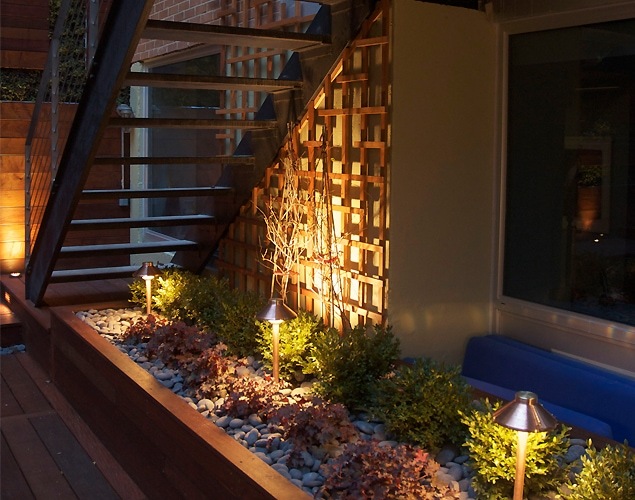 By purposefully incorporating exterior lighting into your design you will appreciate your space in a whole new light.